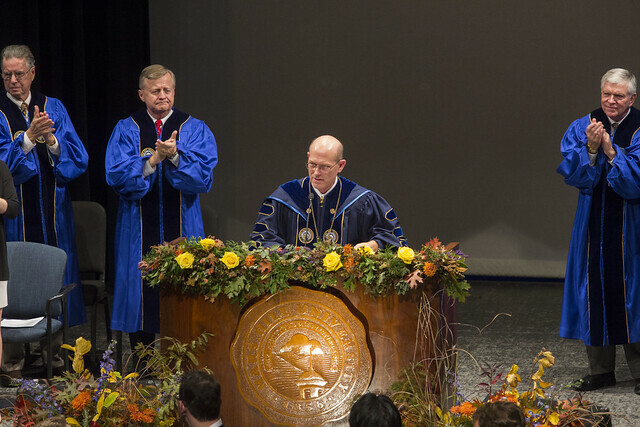 Inauguration of John Anthony Floyd, J.D. The GPS address for Mars Hill University is 100 Athletic Street, Mars Hill NC. Once you arrive on campus, there will be signs to direct you to parking on campus. Take Highway 19-23 (Future Interstate 26) north approximately 18 miles to Mars Hill. Take Exit 11 and turn left off the on-ramp onto NC Hwy 213/Carl Eller Road. Travel approximately 1 mile onto the campus of Mars Hill University. Take Interstate 26 south approximately 42 miles to Mars Hill. (At the North Carolina line, Interstate 26 becomes Hwy 19-23/Future I-26).